NFocus will be closed Monday May 28th in observance of Memorial Day. The Postal Service processes 5,711 mailpieces every second, 493.4 million each day and 149.5 billion in 2017. The Postal Service has 6,955 letter carriers who deliver mail entirely on foot. There are 157.3 million delivery points in the US, up from 149.2 million in 2008. 47% of the world’s mail volume is handled by the USPS. There are nearly 42,000 ZIP codes in the United States. The ZIP code with the most street deliveries: 10025 in New York with over 45,000 delivery points. 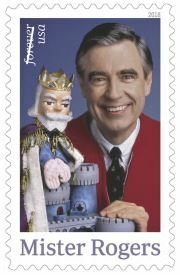 19 billion postage stamps were printed in 2017. There are more than 13,000 Main Streets in the US, the most popular street name. Maple is second with 8,000. The longest carrier route is in Kansas where the carrier travels 185.4 miles. The USPS purchased 660 million rubber bands in 2017.